From the largest distribution platform of physical books to the future largest distribution platform of electronic books, Dangdang has rolled out its business mode and strategies. Many artists feel that questions such as what rights artworks have and how to protect these rights are a perplexity in the art circle. This article tries to find out the solution to this perplexity. Zhao Jiaxiang talks about the differences, overlaps between patent design and copyright, and factors that would help guide right holders make choices. 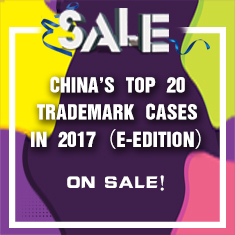 A Brief Discussion on Copyright Protection for Folklore Works—Bai Guangcheng v. Beijing Daoxiangcun Foodstuff Co., Ltd. When a dispute is raised over a folklore work, a judge should not reject the claims of a party simply on the grounds that no relevant legal provisions are available. ISO and IEC has long been publishing standards and policies for copyright protection,and now their standards have become a new challenge for the Chinese copyright system. The basis for standardization is dependent on the development and protection of standards, whether they are national or international. International Publishers Eye "China Interest"
As international publishers set their eyes on Chinese literature, they see a potential that poses both opportunity and challenge for publishing Chinese works.